One of only two dramatic townhomes at 30 Dalton, this residence is perched on our 26th and 27th floors and spans the width of the building. The nearly 4,000 square foot home offers three-sided exposures and show stopping views of Boston’s Fenway neighborhood, the majestic Christian Science Center, and the Charles River. 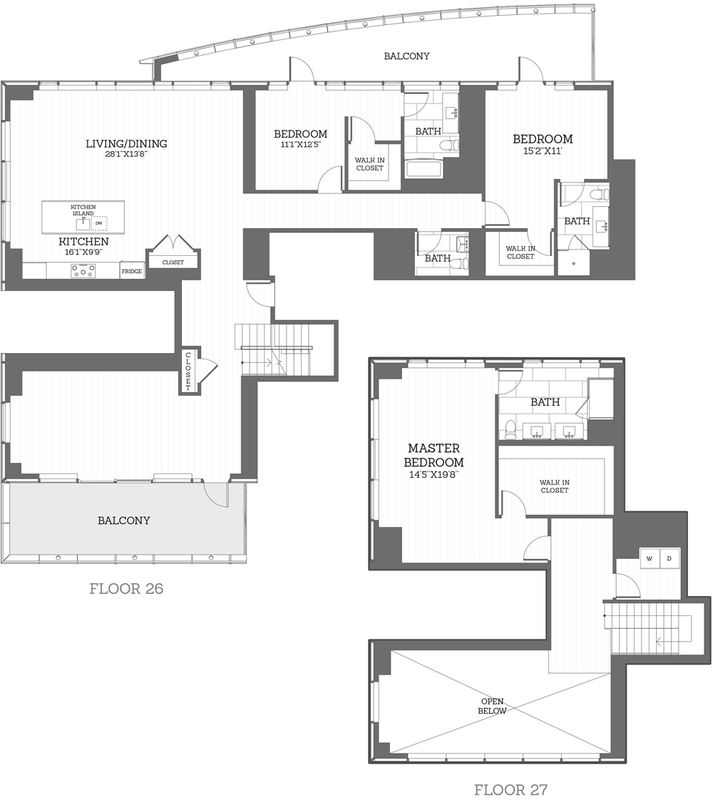 In addition to 10-foot ceilings and 7-foot interior doors, the Fenway Suite boasts double-height living rooms, two terraces totaling close to 600 square feet, spacious bedrooms all with en-suite baths, a convenient powder room and dedicated laundry room.